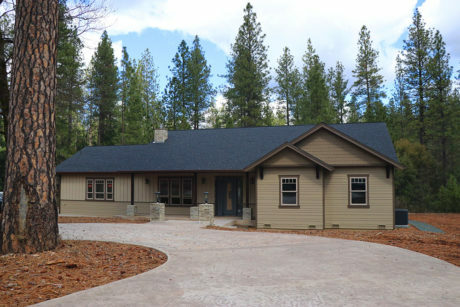 Sierra Foothill's new built home in the heart of Gold Country is a dream home. Amazing Sierra Foothill's horse ranch is a great home for people and horses. 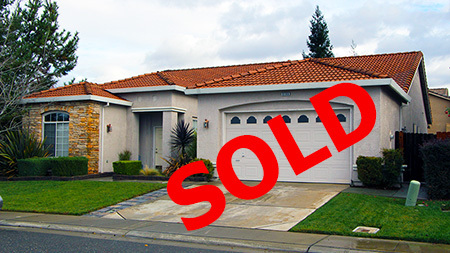 Sierra Foothill homes are very special and need an expert real estate broker. Start the process and get a FREE automated home valuation. The Sierra Foothills of Northern California are made up of many towns, cities and communities. The Sierra Foothills is sometime known as the gold county. These homes feature friendly, small-town feel along with rural ambiance. There are historic houses and ranches and new custom built homes with all the most modern designs. 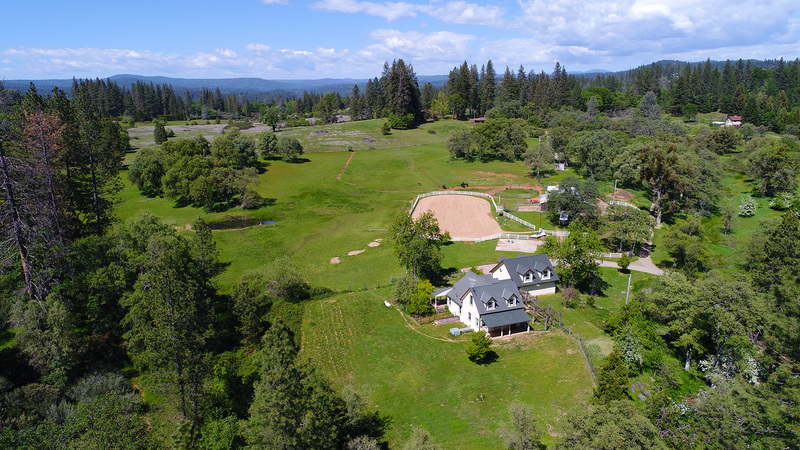 The streams, rivers, and lakes, of the Sierra Nevada foothills offer some of the most picturesque real estate in all of California. The views of mountain vistas, forested land and local landscape are like works of art that change every day. Country living does not have to be a country mile from your nearest neighbor. The sierra foothills have homes in every style of living. You can live in a town house or 20 acre house ranch. There are neighborhoods like suburbs or one acre parcels. You can be on city water or have well water. You can be minutes away from highway 80 or 50 or take 20 minutes to get to town. How you want to live can be found with the right real estate team. We at Coffee Real Estate live in the Sierra Foothills and can help you find some beautiful and affordable homes in the foothills. New built fire-resistant modern craftsman home! Your investment is protected with all fire-resistant exterior and fire sprinklers. One of a kind Elegant Design, High Quality Workmanship gold country home is a rare opportunity with acreage in the foothills. 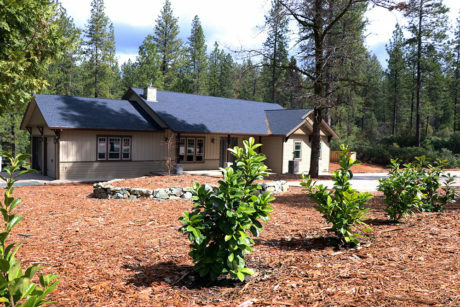 Close to historic downtown Nevada City and beautiful Scotts Flat Lake. The modern kitchen design is something to be envied. The open concept design home is great for entertaining. The master suite views and comforts are like a private retreat. Come take a look and fall in love with the charm and beauty of the home and land. Home in final stages of being completed. Casual and cozy is a good way to describe a country style home. Country decor evokes a feeling of nostalgia. Country is warm wood tones that creates a back to nature home feel. Country living is many things to many people. Country living can be living in the country. Country can be decorating choice. It can be a life style or an image. Country living can be self-sufficient living, gardening, horses or animals of all types. Country living can mean big families, multi-generational families, unique family groups and living out your golden years in a peaceful surrounding. Horse ranches are one of the most popular type of ranches. There are many things to consider when buying a property for you and your horses. The elements of a good horse property vary based on the goals of the property owner. The basic elements of a horse ranch are barn, pasture, paddocks, training area, fencing, feed and hay storage areas and, of course, a place for people to live. All of these features can be highly specialized or very rudimentary just depending on the needs and budget of the property owner. What are the 2 most important things to consider when buying a home with a well? 1. Output - gallons per minute or gpm is the first thing many people think about when they buy a property with a well. 2. Quality of water – Water is extremely important to humans. The quality of the water coming out of the well is the most important consideration when testing a well. Water is one of the most important things to life. Not having enough water can be very frustrating. Drinking bad water is dangerous. Buying a property in the California foothills many times includes owning a well for your water source. What is the gallon per minute of a well? The output of the well test is measure in a couple of ways. The gallon per minute or gpm is one of the key gauges for the production of the well. 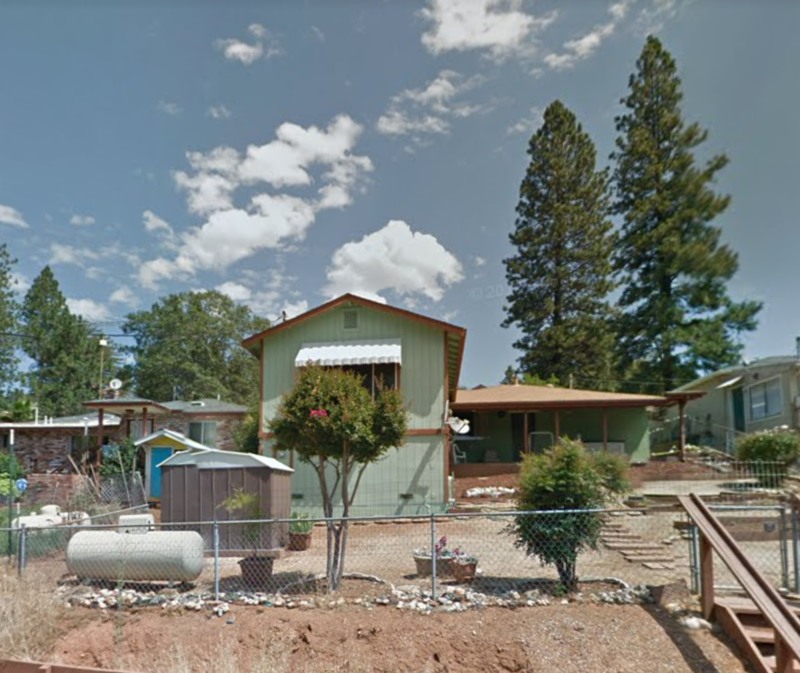 For many people, moving to the gold country is the first time they will have well water as the main water source for the home. Abundant pure water is taken for grant by most people who live in a metropolitan area. City water is disparaged as tasting bad but for the most part it is safe to drink. Water from underground aquifers are assumed to be good to drink. And expected to give plenty of water for a life time. Both assumptions are false. Both the quantity and quality of water can be tested. If you are moving to the foothills the one set of tests that should never be waived or not done is testing the well for output and quality of water. 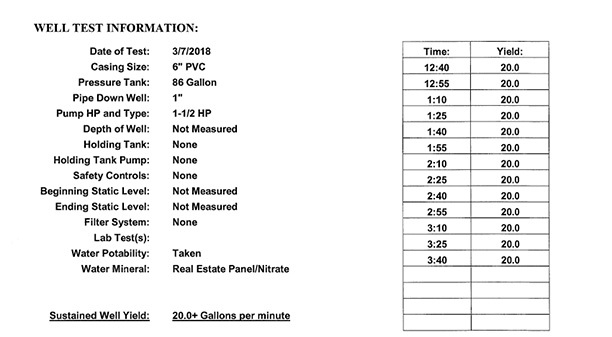 What is a good gallon per minute of a well production? Understanding the local acceptable gpm is key to valuing the well. Each area in the California foothills have a local expectation of gpm. Sometimes this is good news, other times the area has only lower producing wells. 4 ways to help a lower producing well? One other well production number can help especially if the well is producing on the low end of acceptability is the stand or static water number. Basically, the water storage capacity is the number of gallons of water that are in the well pipe. 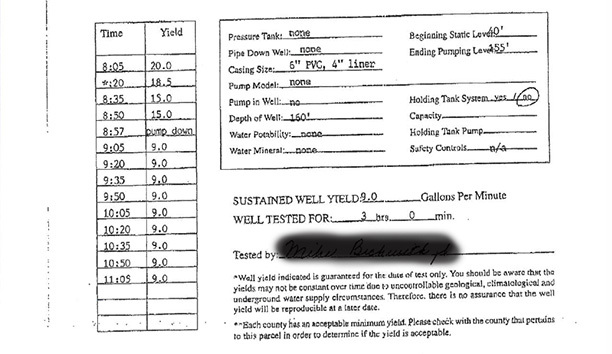 Ask for the depth of the well when getting the well tested and have them give you the number of storage gallon. Here is how that works when you know the level of the water and pump depth, you’ll be able to determine the water storage capacity. A traditional 6-inch diameter drilled well can store 1.5 gallons of water per foot. It is just simple math after knowing the correct information. Drilling the well deeper should give it more storage in the well. This is known as static capacity. Another way to add storage is to add a storage tank. With very low producing wells, this is only way to get enough water. Hydrofracking is done by injecting high-pressure water via the drilled well into the rock formations surrounding it. The purpose of hydrofracturing is to widen fractures in the bedrock and spread them further. This will increase the network of water bearing fissures supplying water to the well. Adding other sources of water can be very helpful. Even if the water is not potable it can take pressure off the well for other water needs like gardening. Public water for non-drinking purpose may be available. It is always a good choice to take advantage of these resources. These water sources in the foothills are called NID, ditch water, country water, channel, and other local names. Many times, they are acquired by the miner’s inch. You can also get a fraction of the miner’s inch for example, a half inch.